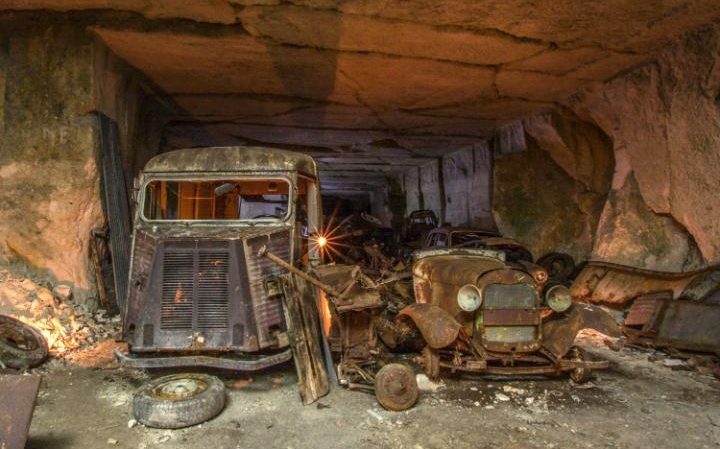 Atreasure trove of abandoned, rusting Second World War-era cars has been discovered in a small quarry in rural central France. They were likely hidden away at the start of the war to avoid them being requisitioned, and were forgotten about by the end. 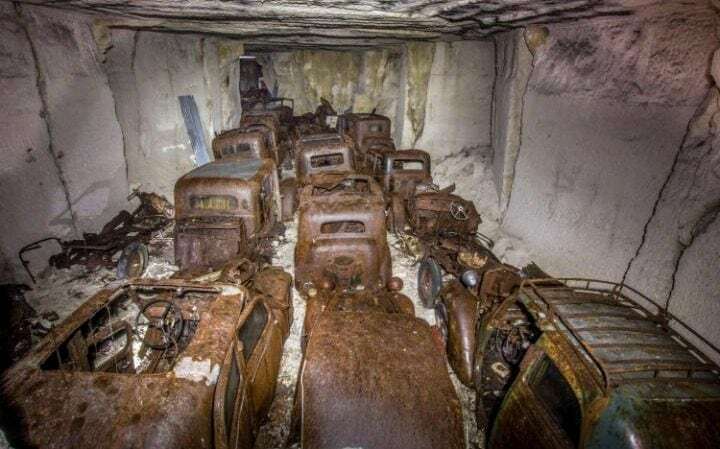 The cars were photographed by Belgian PE teacher and urban explorer Vincent Michel. The 56-year-old said: “It felt like we were walking back in time, 70 years ago, and I just wondered how on earth it was possible! “We suppose the cars were brought into the quarry at the start of the war to stop them being seized. “After the war, nobody took them out from there, forgotten forever. The owner of the quarry added a few more cars some years later. “Almost all the cars were empty, with the shells the only things remaining. “Shortly after we were there the owner pulled a few of them out to sell at auction, but most of the cars are still at peace inside the quarry, too damaged to move.